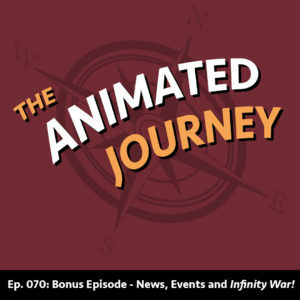 In the conclusion with my interview with Cassie Soliday we go out with a bang by discussing her work on her creative writing podcast Jammiest Bits of Jam, writing and editing The Animation Network Podcast Newsletter and the importance of pursuing your artistic journey and making time for yourself and your loved ones! Cassie Soliday works as the Script Coordinator for Wild Canary Animation’s Puppy Dog Pals on Disney Junior, is the creator of the diary comic Life Scientist, creator and host of The Ink and Paint Girls Podcast, co-host of the Jammiest Bits of Jam Podcast, and Newsletter Editor for The Animation Network Podcast. Wow! In part one of our interview we talk about studying animation and improv at Columbia College Chicago and The Second City, interning at Nickelodeon, and working at Disneyland as a sketch artisan before landing her first full-time job in animation. Cassie possesses a unique perspective on the importance of learning your craft, persevering when you’re struggling to break into the industry, the beauty of animation and more! Freelance Artist Mallory Carlson’s first memory was coloring the walls of her home with a crayon, and from that first moment she knew that her destiny awaited her in the arts. In the years since Mallory has made her mark on the world as a children’s book illustrator, character designer, an alumna of the Nickelodeon Artist Program, and a background designer on shows such as Pig Goat Banana Cricket. Hear her amazing story and what it takes to stay true to yourself and persevere in the world of animation!